If you will be coming from Metro Manila, you have two options. You either go to Baguio before heading to Sagada or go directly to Sagada with a brief bus stop in Banaue to have a glimpse of a rice terraces. I recommend taking the Manila- Baguio- Sagada route so you could also have the opportunity to see the City of Pines. 1. 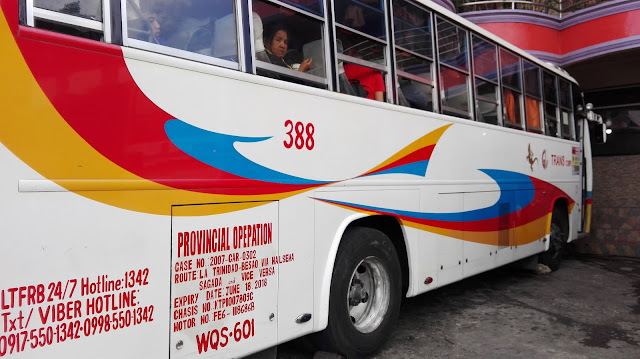 Take a Baguio-bound bus in Victory Liner stations in Pasay (near Magallanes, Makati) or Cubao (near Araneta Colliseum). Fare ranges from P450-500. If insurance is included, you will pay P500 for sure. Buses leave every after 15 minutes 24/7. To secure your slot, reserve a seat on the Victory Linerwebsite. During peak season when there are too many tourists lining up for a ticket, I buy a ticket then proceed to the Chance Passenger que. While it is a bit stressful waiting for the chance to get on-boarded, I always stand in line for an hour before catching the chance for a seat. There are other bus companies that bring tourists from Manila to Baguio like Genesis. However, I only ride Victory Liner. You will pass through Bulacan, Pampanga, Tarlac, Pangasinan and La Union. If you feel that the bus is already climbing a mountain, you are an hour away from Baguio . The ride takes four to six hours. The use of TPLEX makes the travel time shorter- from six to four hours. 2. Ride a cab from Victory Liner station to GL/Lizardo Station behind Baguio Center Mall. Riding a cab in Baguio is one of the best experiences in that cool city because drivers there are known of honest and friendly. They give your P1.00 change and assist you with your cargo. The ride takes less than a hundred pesos. You will pass by Session Road or Bonifacio Street. You can also advise the driver to take the Session Road- Magsaysay Avenue- GL/Lizardo Station route so you could enjoy the view of the Session Road. Travel time takes 15-30 minutes. 3. 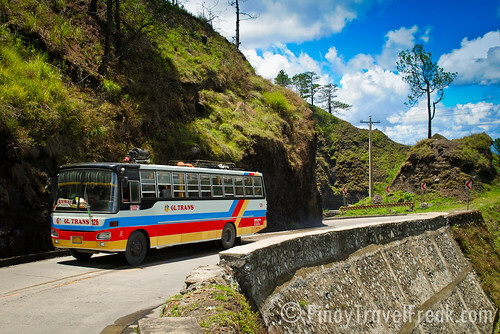 Take a GL/Lizardo Bus going to Sagada. The earliest bus leaves at six in the morning, followed by hourly trips until 10 am. A special schedule is set at one in the afternoon. In case all GL/Lizardo buses are full, you may try Lizardo Buses in the Slaughter House Compound along Magsaysay Avenue. Take a cab again (you can also ride Trancoville jeepneys) going to the Slaughter House. This cab ride takes P35-50-- it is like a kilometer away from the GL/Lizardo Station. 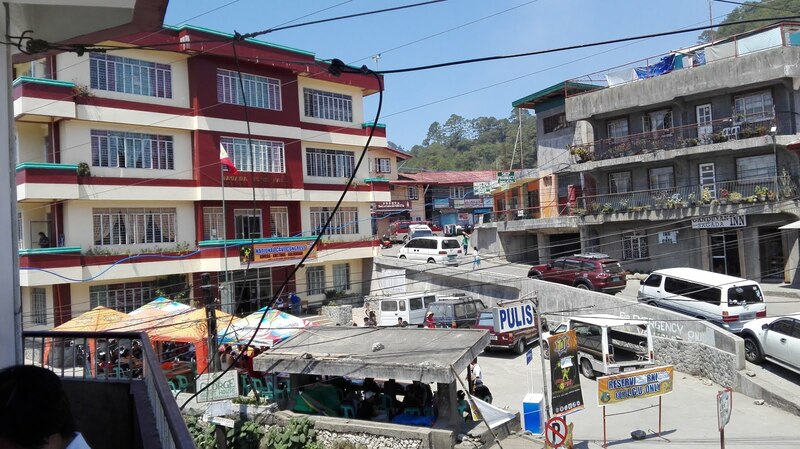 Buses going to Sagada are scheduled to leave at three in the morning and four in the afternoon. In case all buses in both GL/Lizardo and Lizardo stations are full, you can take a Bontoc- bound bus at the GL/Lizardo Station. From Bontoc, you can ride a jeepney to Sagada for not more than P100. You will pass by Benguet flower and vegetable farms. 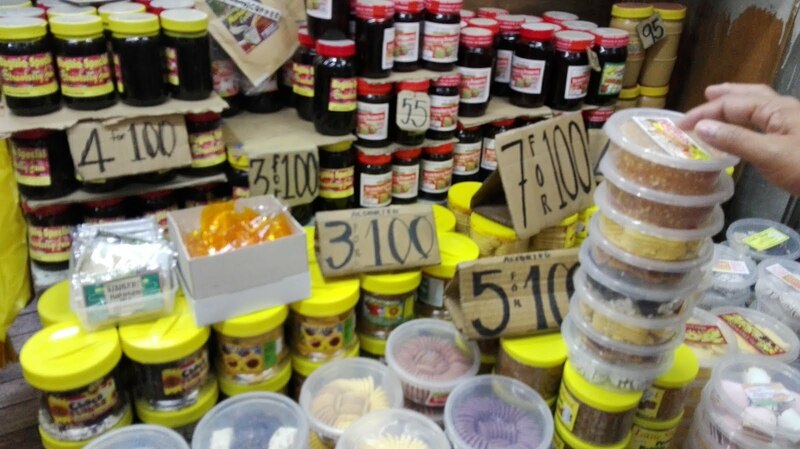 The first bus stop in Sayangan is two hours after you leave Baguio where you can eat. The second is after two hours in Mabbay, Bauko, Mountain Province. Travel from Baguio to Sagada is six hours. When you reach Sagada, kindly ask the conductor for directions. If you still have not found an inn for you, ask any local because they are very willing to help you find your home in Sagada- that’s the trademark of the peace-loving people of Sagada. Enjoy your vacation! If you have questions about Sagada, email me at christianaligonow@gmail.com. And yes, I am a native of Sagada but I work in Paranaque City.